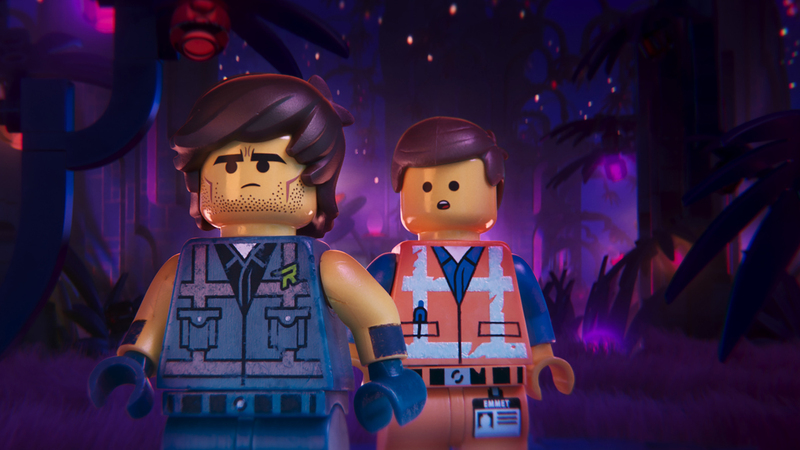 Five years after The Lego Movie proved you canmake a funny, engaging and pretty excellent movie about a pile of plastic bricks, regular yellow guy Emmet (Pratt) and his friends return for a second adventure that’s just as deliciously daft as the first. In those five years, the residents of Brickburg have seen their homes destroyed by invading LEGO Duplo characters from space who have turned the town into a wasteland they now call Apocalypseburg, which resembles something out of Mad Max. 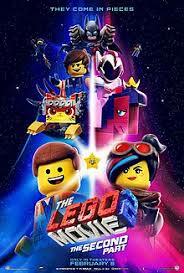 Everything is definitely not awesome, and things are about to get worse when Emmet’s brooding girlfriend Lucy (Banks), and pals Batman (Arnett), Benny, Metalbeard and Unikitty are kidnapped by the Duplo army (baddie General Mayhem only takes five of them as she can’t fit more in her spaceship) and taken to the Systar System, ruled by Queen Watevra Wa-Nabi (Tiffany Haddish). Of course, Emmet goes to rescue them, with the help of new action hero friend, Rex Dangervest (Pratt). As with the first movie, the adventure is packed with pop culture references – including a hilarious voice cameo from a famous action hero – as well as jokes, visual gags and luscious graphics to entertain both adults and kids. There are lots of treats, including finally understanding what dinosaurs are saying to each other, and spot-on vocal turns from Pratt in his dual roles, Banks, Arnett, Haddish, and numerous others including Noel Fielding as a vampire DJ who wears women’s jeans and seems to be a direct descendant of the Twilight bloodsuckers. Any kids movie that references 2001: A Space Odyssey and Die Hard gets our vote, and while this doesn’t exceed the heights of the original, it certainly provides the sharp, fast and fun family entertainment everyone hopes for but only a few movies manage to achieve. Very young children may not like the scenes where Brickburg is destroyed, but there are no scary moments in the movie.